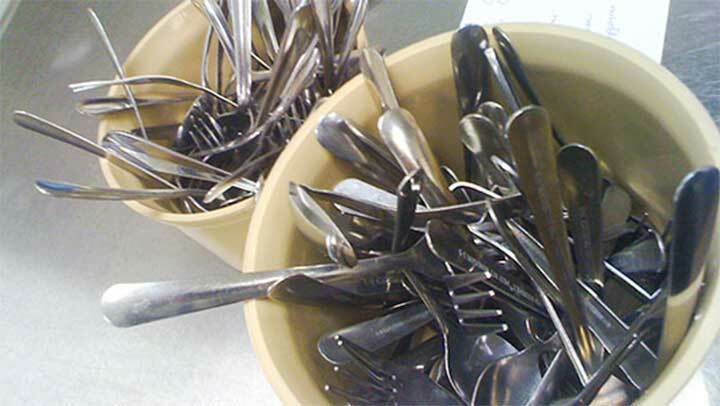 Eliminate disposable dishware and utensils in the office and replace with reusable. Use optical scanners for tracking inventory to allow for more precise ordering and less waste. Make the trash containers smaller than the recycling containers.